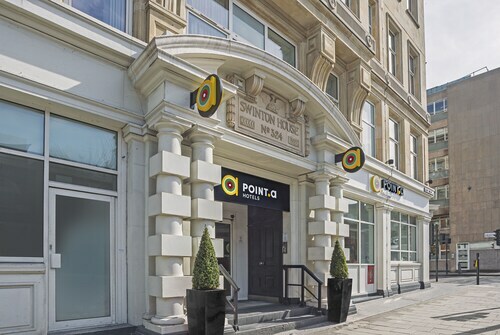 Located in London City Centre, this hotel is within a 10-minute walk of Apollo Victoria Theatre and Victoria Palace Theatre. Buckingham Palace and Westminster Abbey are also within 1 mi (2 km). Victoria Underground Station is 7 minutes by foot and Pimlico Underground Station is 9 minutes. 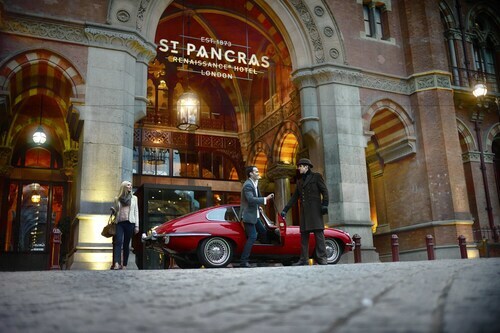 This luxury hotel is located in the heart of London, walking distance from British Library and King's Cross. Also nearby are Russell Square and Trafalgar Square. How Much is a Hotel Room in London? 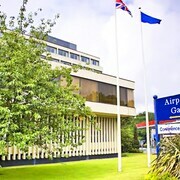 Hotels in London start at C$51 per night. Prices and availability subject to change. Additional terms may apply. One reads the quote above and thinks it must be overstated. It can’t be true that a city is so fantastic that people can’t pull themselves away from it. But that statement is far from exaggerated and one walk through these fabled streets helps to validate Mr. Jonhson’s quote. Why? Because letting your eyes gaze upon the beauty that is St. Paul’s Cathedral is a must and going for a walk through Hyde Park will rejuvenate the soul. And when it’s all said and done, retiring back to one of the hotels in London is like relaxing in your own home. 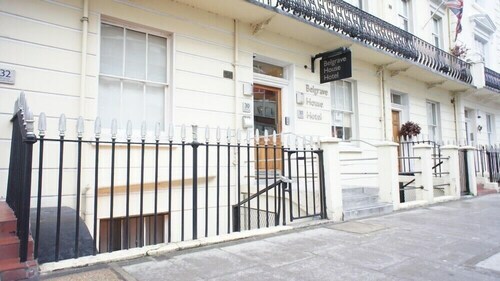 The Rembrandt: Located in south Kensington, this historic city accommodation has a number of room options ranging from classic rooms with twin and full-size beds to multiple room suites that resemble penthouse flats. 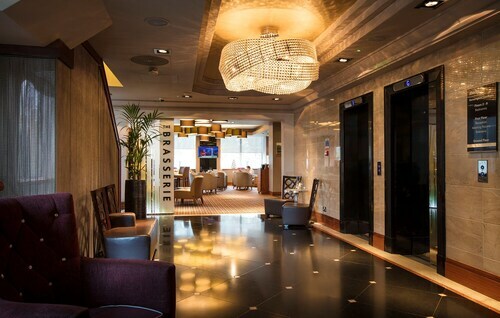 There’s also the Palette Restaurant and Carvery where you can go for a delicious meal and then head to the 1606 Lounge Bar or the Conservatory Bar. 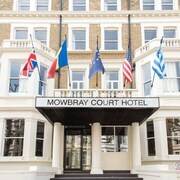 And the amenities spell out a new form of comfort with an indoor pool, health center, and spa facilities that will suit your needs just fine, making it one of the top hotels in London. 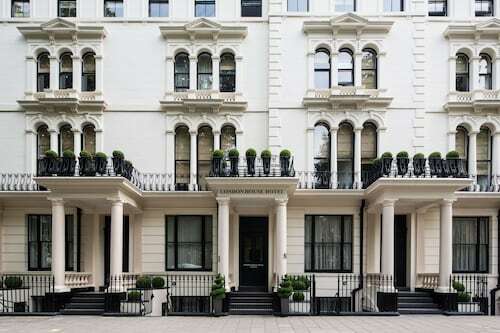 The Bailey’s Hotel London: In between the happening neighborhoods of Chelsea and Kensington, this wonderful hotel is located in an old Victorian-era townhouse. The quaint rooms are great for relaxing after a long day gallivanting about town. Take a seat at the Olives Restaurant and enjoy a tasty Italian meal. Or you could just order room service and have your penne al vodka brought to your door. 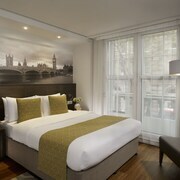 Sofitel London St. James: Sure, you could book a single room with a twin bed, but where’s the fun in that? You’re on vacation. You deserve to treat yourself to one of their incredible Prestige Suites. And don’t let the preferential treatment to yourself stop there, make sure to have a proper spa day. We think a Cinq Mondes Youthfulness Ko Bi Do facial ritual followed by a martini and manicure treatment should do the trick. 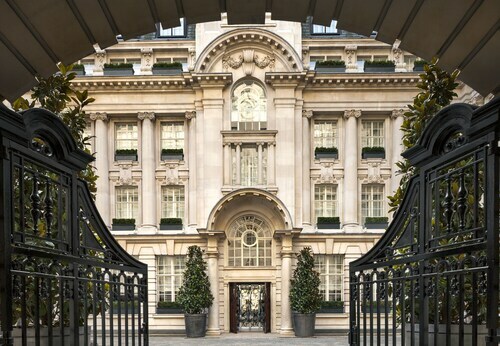 St. Ermins Hotel, Autograph Collection: When you’re done sightseeing for the day, return to the comforts of this fantastic hotel in Westminster and sit down for afternoon tea and scones. W London Leicester Square: Not only is this luxurious accommodation in Leicester Square comfortable, but it also happens to be near some of the most happening areas of the city. 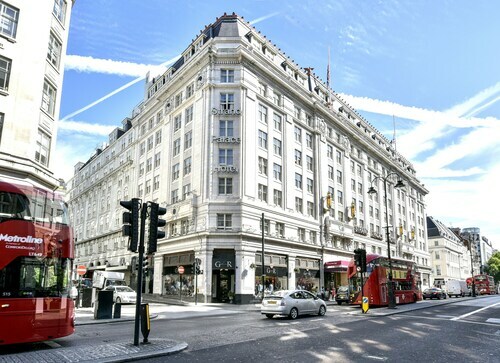 Places like Trafalgar Square, Chinatown, and Piccadilly Circus are just a few blocks away. 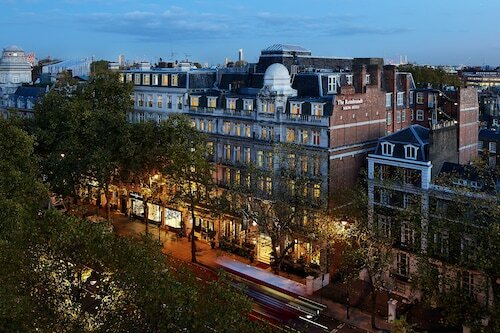 The Russell Hotel: If you’re looking for a place to stay in the vibrant historic district of Bloomsbury, stop your search in this incredible enclave of the city. It’s easy to get lost in a city of this magnitude, but sometimes that can be a good thing. Especially when you stumble upon such treats to the eyes as Hyde Park, one of the Royal Parks of London. From there, you exit on the south side of the park and make your way to Harrods department store and shop for anything from Egyptian style clothing to food and drink from faraway lands. Continuing your accidental, self-guided journey through England’s capital, you come across a building that looks like it jumped off the pages of a fairytale book. You stare in awe at the beauty of Buckingham Palace and wonder how man could build such a site. Let the day dreaming begin. When the time comes for you to make a temporary escape to a land that’s across the pond, look no further than our amazing deals on cheap hotels in London.